Insaf Ke Devi is a Bhojpuri film released on 4th April 2014. This film is directed by Manoj Narayan Shanu and produced by Dharmendra Kumar. 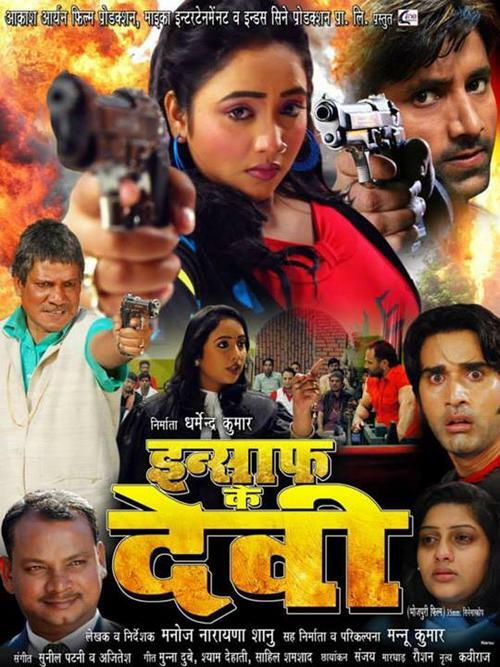 Film Insaf Ke Devi is full of action and drama. Rani Chatterji and Ayaz Khan are leads roles and Shri Kankani and others are playing supporting roles. Music Director is Ajitesh Gappu and lyricist by Shyam Dehati and others.